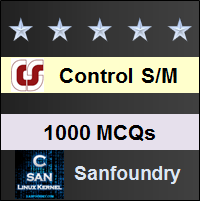 This set of Control Systems Multiple Choice Questions & Answers (MCQs) focuses on “Stability Analysis”. Explanation: Routh hurwitz criteria is used to find the stability of the system and this is determined by the number of roots in which the number of roots is equal to the number of sign changes. 2. Assertion (A): Feedback control system offer more accurate control over open-loop systems. Reason (R): The feedback path establishes a link for input and output comparison and subsequent error correction. Explanation: Feedback control system offers more accuracy and also reduces the gain of the system and establishes the link for input and output comparison and subsequent error correction. Explanation: Feedback reduces error and can cause stable system to become unstable and also can make unstable system stable. Explanation: The Routh-Hurwitz criterion cannot be applied when the characteristic equation of the system contains any coefficients which is negative real, both exponential and sinusoidal function of s.
Explanation: Stable operation can be checked using the Routh-Hurwitz criterion where the first row of the the table is checked and with that. Explanation: Routh-Hurwitz criterion gives absolute stability and number of roots lying on the right half of the s-plane. Explanation: The stability analysis is done using Routh-Hurwitz criterion and hence the number of roots on the right is calculated. 8. Which of the following techniques is utilized to determine at the actual point at which the root locus crosses the imaginary axis? Explanation: Routh-Hurwitz technique is utilized to determine at the actual point at which the root locus crosses the imaginary axis. Reason (R): the negative feedback reduces the overall gain of the feedback. Explanation: A linear, negative feedback control system is not necessarily stable if its open loop configuration is stable.